What is the easiest way to re-sync all the products in my store to Shopify/BigCommerce? Note: This will delete any changes you made to product details and revert products back to the way they are visible on Modalyst. 2. Visit your Shopify Admin. 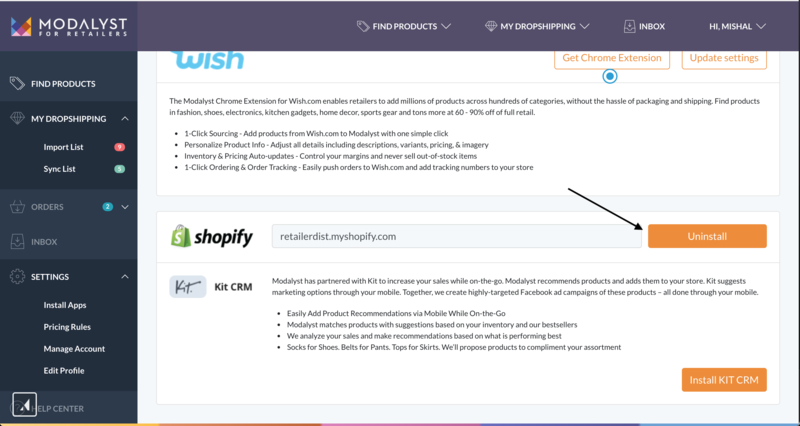 Find all products with the tag "Modalyst" (as we automatically tag our products), and delete them all from your store. 4. All your products should begin to add automatically back into your Sync List. If you still have products in your Import List, just move them over to the Sync List and you should be all set!